When are people going to stop asking me THE QUESTION?! Tonight, I’m going to drop a quick blog post just to get my thoughts out….thoughts that have been floating around my head like stars that appear in a ring above a cartoon character’s head once they’ve been bopped in the head. Yesterday, I got asked THE QUESTION again. A third, or even fourth, time in the past month. EGADS! Uh, yup. I tried to appear unphased by THE QUESTION. To spare me from the quizzical look, scratching of the head, head tilting, and the whole 20 questions exchange that was bound to happen if I didn’t cut straight to the chase, I did just that. I cut straight to the “I had problems during childbirth and had to have my uterus removed 3 days after having my daughter.” You bet that stopped the questioning dead in its tracks. Granted, I am so glad I still seem to appear young enough to be able to have children. Don’t let my perpetually childish/mischievous glint in my eyes and behavior fool you (for those of you who happen to know me personally)…..though I have to admit that my energy is fading little by little each year. My appearance takes a serious hit with each winter that passes. I noticed that I came out of this past winter looking older than ever. 😦 Believe me when I say I’m not as young as I look. Aside from the fact that I’m past my prime in having children, my ability to have more children was stopped dead in its tracks three days after I had my daughter over seven years ago. Very sobering information to share with you, but them’s the cards with which I was dealt, and I have learned to deal with this loss over the years. And I really would very much like to avoid constantly being asked THE QUESTION. It’s like having a wound heal almost fully, only to have it fester again with a new infection in the form of someone’s innocent but thoughtless questioning. Sometimes I wish I could just wear a neon sign that says “Don’t ask if I’m going to have another baby.” In fact, I wish I had a sign for each one of my commuting (keep your knees, bags, and/or elbows to yourself) and driving (what are your car signals for if you don’t use them; get off my bumper; get off the damn cell phone before you kill someone) pet peeves! Anyway, I just whipped up my own e-card via Some ECards of the sign I would want to flash every. single. time I get asked THE QUESTION. Certain things, like whether a couple is planning to start a family, or a woman is planning to have a(nother) baby…..are best kept to oneself. Chances are, you will be sprinkling salt onto a wound that is raw and having difficulty healing. As the saying goes, when in doubt, keep your mouth zipped. There is a reason why they say that SILENCE IS GOLDEN. I am so glad I found your site/blog! 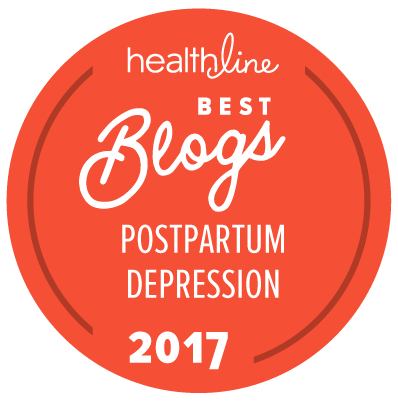 I have a 1-week-old, suffered with severe prenatal depression for the last 7 weeks of my pregnancy, and am now suffering with ppd. Your site has been very helpful. Thank you. Hi J, I’m glad you found my blog too! If you ever need to correspond more regularly, let me know and we can exchange emails. If you ever need to speak with anyone about getting through a particularly bad patch, you can call 800-944-4PPD (Postpartum Support Int’l warmline). 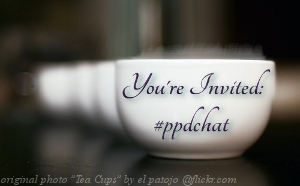 And if you are on Twitter, #PPDChat on Mondays at 1:30 Pm and 8:30 PM is led by Lauren Hale. She provides great support too. I HATE this question!! People ask me all the time & I never know what to say. It brings up so much emotion! We have been trying for almost 8 months now, plus all the years dealing with ppa/ppocd-I don’t bother explaining this to them when they ask though (because this question is always asked by people we aren’t close with. If we were close then they would know our situation already!) But others should know it’s not always that easy to “just have another child”. Do others not think about fertility issues, complications,or how some people can not have more children or want more children?! This question drives me crazy 🙂 Great post Ivy! Good to hear from you! Wouldn’t it be nice if people just stopped asking, period? I know they mostly mean well, but it’s just such a nosy question! After a number of years of being asked the question, I’ve learned it’s just better to cut straight to the chase. Keeping it simple is best. Why have to elaborate? After all, this is such a personal matter. If it were me and I still had a shot at having more kids, I would try to find a way to give them the hint that they need to mind their own business. For you , maybe it might have a lot to do with stress/anxiety, with your postpartum experience still pretty fresh in your memory. Maybe some yoga and/or meditation (or even acupuncture) might be worth a try? I found that yoga helped me with my second IVF cycle, in relaxing my mind and body. Hey Lori, Thanks for paying my blog a visit…and following! 🙂 I’m so excited about your upcoming book! Thanks for this, Ivy! I just had one of my clients gushing to me about how wonderful pregnancy was for her, and then she said, “Do you have any children?” I said, “No, not yet.” She said, “Oh, you should, it’s the most aaaaammmmaaaaaazing experience in the world!!!!!! !” Being in the throes of infertility, I’ve gotten pretty good at smiling and nodding and not letting too much of my truth show on my face, but that was a tough one! Thanks so much for stopping by and leaving a comment! I see that you have me on your blogroll, and thank you for that too! I’ve added you to my Infertility blogroll. Having struggled w/fertility issues for several years, I know what it’s like to see friends/colleagues/acquaintances around me all getting pregnant, seemingly so easily (and often in a taken-for-granted mentality). It is very upsetting, to say the least. I wish you continued strength and hope for success for you and your husband! Please keep me posted (and I will drop by your blog as much as possible).